Lately in interior design are increasingly IP isto use wooden floors. Natural wood pattern creates indoor comfort and warmth, in addition wooden flooring, useful, and suitable for almost all stylistic decisions of an interior. However, wooden floors, especially parquet, require increased protection and care. After the tree under the influence of temperature changes and moisture can swell and warp, and is covered with unsafe mold fungus. To avoid all these troubles and preserve the beautiful natural wood pattern wood floors must be covered with varnish. 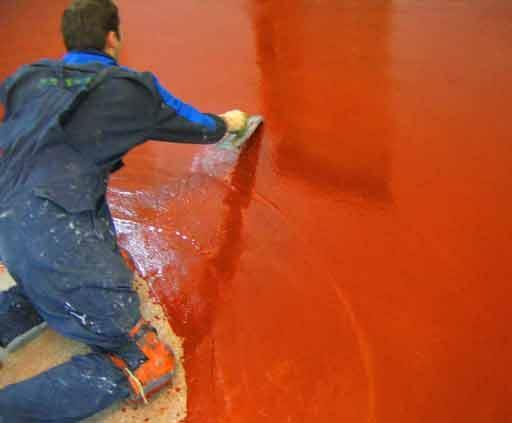 Floor coatings are solvent-based and waterborne. Acrylourethane acrylic and waterborne varnishes have sufficient durability, is easily repaired, and has low toxicity. In addition, they are fireproof and cheap enough. For the coating of wood and parquet flooring varnish, it is necessary to properly prepare the original surface of the floor. First, oscillate floor. For manual sanding purchase in the shop manual loop, carefully sharpen it. To make it easier to scrape, smooth wooden floors or parquet floors iron through a damp cloth. Sand the floors with emery cloth. Wipe floors with a damp cloth, once dry, again sand the floors. Remove floor dirt and dust remaining after sanding. Apply to the floor vodorastvorimuu primer. Pour it on the floor and quickly spread it evenly across the floor using a wide steel trowel. After the primer has dried, after 40-60 min., again sand the floors with fine sandpaper. Then apply another 1-2 coats of primer. Allow primer to dry well. Thoroughly mix the varnish in a jar and let it stand for 10 minutes to remove air bubbles. Take a soft bristle brush or a foam roller and evenly without pressing down on the tool, apply the varnish on the floor surface in the direction of wood texture or light from window. Avoid visible location, corner or joint. Let the first layer of varnish to dry and Polish the floor surface abrasive sandpaper P12-Р150, carefully remove dust. Apply another 1-2 coats of varnish as described above. Allow varnish to dry for 2-3 hours. Remember that the final varnish dries only after 3-5 days. Then you can install indoor furniture, to expose the nail load.